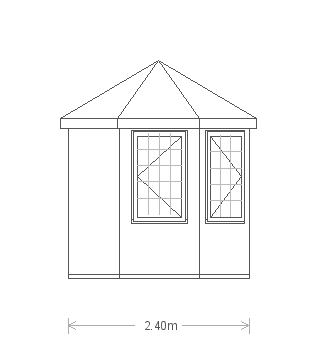 This charming Wiveton Summerhouse measures 2.4 x 3.0m and boasts a distinctive octagonal shape as well as Farrow & Ball exterior paint in the shade of Wimbourne White. 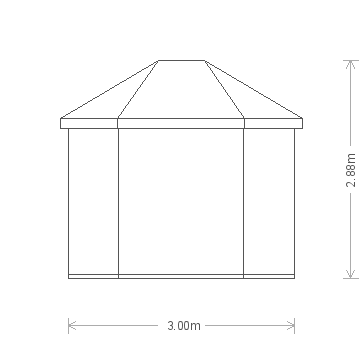 The summerhouse was designed and hand-built in Norfolk before making its way to our Cranleigh show centre where it is currently on display. 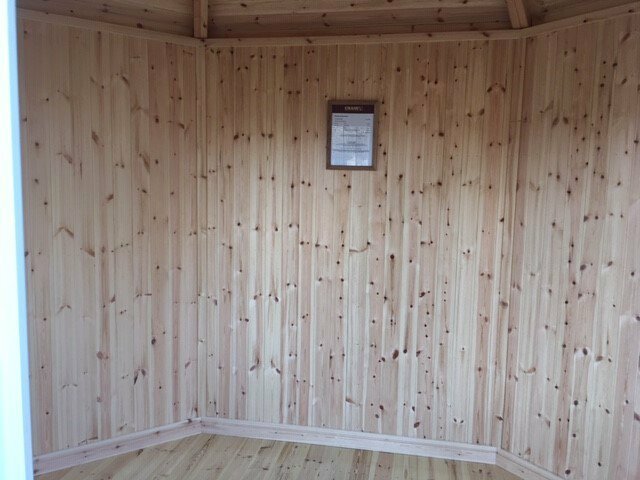 The Summerhouse has leaded windows and insulation with natural pine lining on the interior walls. 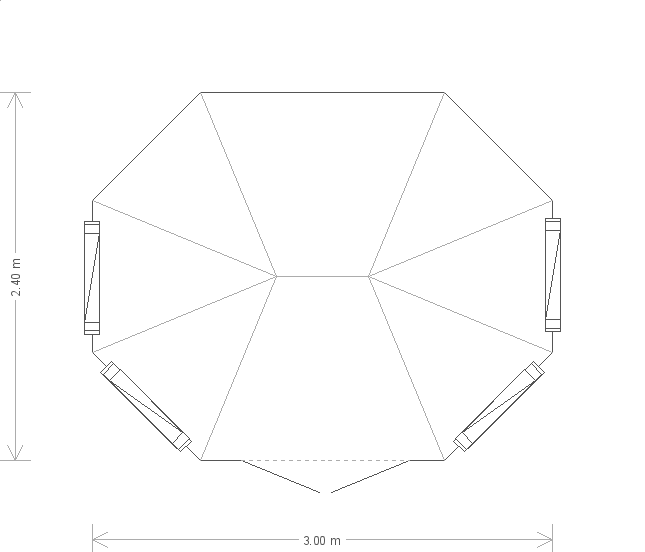 The roof is covered with cedar shingles which make for an attractive and naturally sympathetic look. 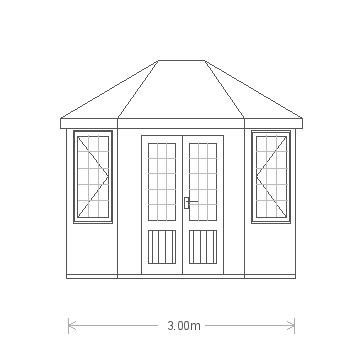 This charming summerhouse is from our range of FSC® certified timber garden buildings and boasts a distinctive octagonal roof as well as opening windows for natural light and ventilation. 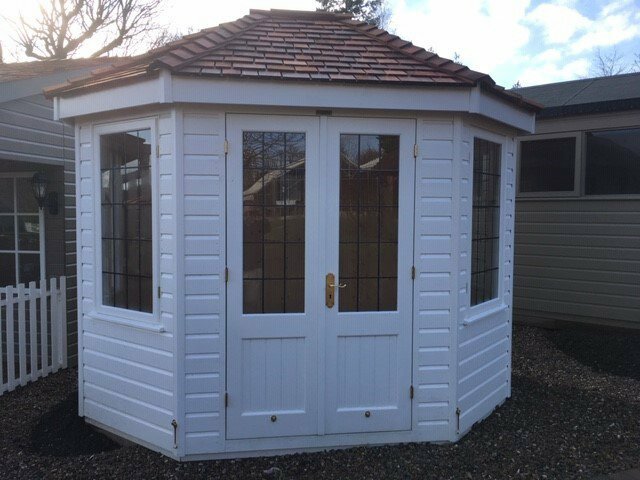 As with all of our timber buildings, the summerhouse was selected by our customer before being both delivered and installed at the specified delivery address by our in-house team of expert fitters. 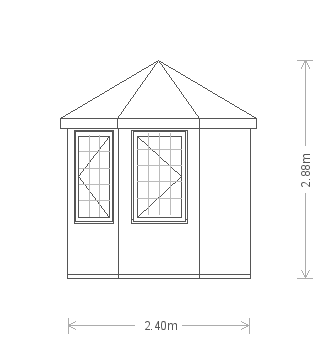 Available in a range of different sizes, this building measures 8 x 10ft.